You are amazing for choosing to do a group. We believe you will get about a million times more out of your resource by bringing others into the process. They will encourage you, help you stick with it, challenge you, fight for you, and make life so much more fun! 2. Pick your best method—online or in person. 3. Sign up for a group or sign your group up if you want to host one. 4. Give yourself grace… but not too much. Book Club Style: If you already have a book club, then make this your next month’s choice. Or if you don’t have a book club, you can do a Book Club just for this book. Pick how many weeks you want to meet and then break up the chapters. I’d recommend doing one week on the two intro chapters, a couple of weeks for the holiday chapters, and then a couple of weeks to discuss common struggles. You will LOVE learning from everyone and also processing what you are learning. Support Group Style: Meet once to all connect, meet again to go over the two intro chapters, then meet 30-60 days before each holiday. Y’all can go over the chapter, share other ideas, discuss the Common Struggles chapters that are relevant for that holiday, and I’d recommend eating things that are themed for that holiday! Find what works or you—there isn’t one way to do this… but it is a good idea to do something. You will get so much more out of this book, and you will have a total blast doing it. This is a great thing to walk through with your neighbors, co-workers, family, old college buddies, etc. We all prepare for our holidays, we all want them to be more meaningful—so let’s do it together! Let’s choose a better way together and share what we are learning with one another! These studies will be released in February 2019. Lent begins on Wed, March 6. One of the most powerful things you can do with other women is to study God’s Word together. We love Bible studies around here, but we also love balancing those with reading straight scripture. However, most women struggle to stick with Bible studies or Bible study plans—so we find that it is always best to do that with a group. Number one, will help you stick with the reading plan. However, it will also help you to get so much more out of what you are reading. As you journey through scripture with others, you will have a safe place to ask questions, encourage others, be encouraged by others, challenge one another, give greater insight, and so much more! We recommend these groups meet in person or check in weekly online. There isn’t a wrong option here, it truly is whatever works best for you and those who will be in your group. The best method to choose is the one that works for you. How’s that for a non-answer? Ha! The truth is that you want to choose whichever one you will enjoy leading and enjoy being a part of. My personality loves in person, so I know that is what I will always prefer. However, there have been many season that I just couldn’t add something else to my calendar, and I was so grateful to have the support of an online community. 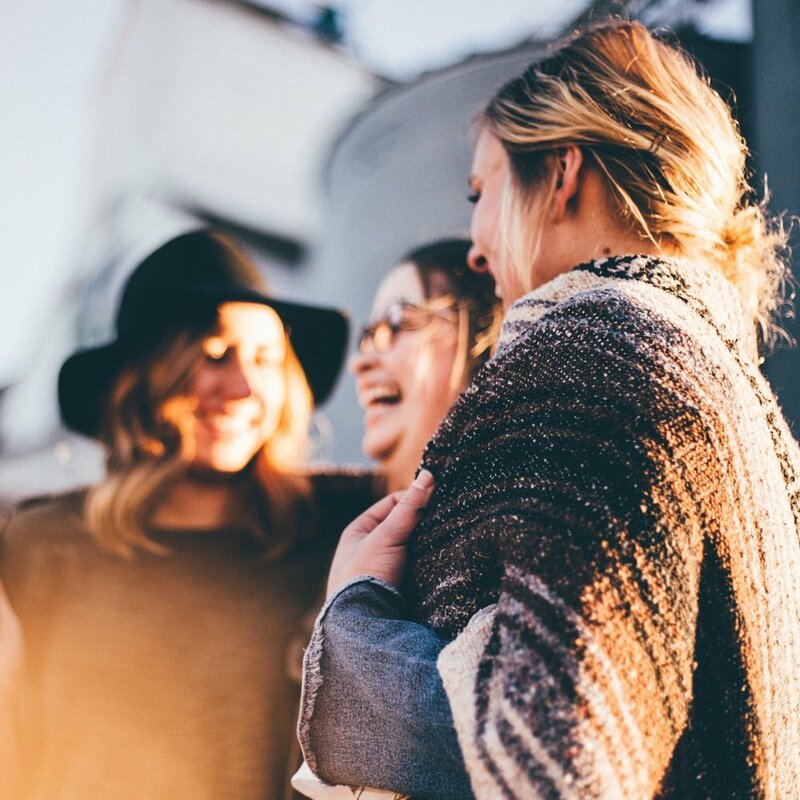 In person: One of the benefits of in person groups is that it allows you to connect in a meaningful way with those around you. We’ve had churches host large groups as a part of their Bible study curriculum, and we’ve had just a few friends gather at a coffee shop. There isn’t one right way to do this. Gather with your neighbors, friends from church, and/or co-workers! We know life is busy—everyone says this and feels this—but you will not regret making space for this! Once you’ve determined what you want to do and how you want to do it, the next step is to pick a group or start a group! If you want to host a group, go to our Host a Group page and sign your group up. This will also give you access you our private Facebook page for group leaders for support, tips, and direct access to Kelly, our Group Coordinator, and Becky. We say this all the time with our studies and in the book, but feel like it’s worth stating here as well: give yourself grace… but not too much. When it comes to groups—being in one and/or leading one—it requires a good dose of grace. Grace that there will be some weeks you will not have done your reading/study and you will feel behind. We don’t quit when this happens, we stay faithful and work hard. We’ve done harder things than read a book or do a study, and we’ve done harder things than show up for our group. So we keep pushing. We give ourselves grace because we will never do this thing perfect. But perfection isn't our goal, Jesus is. Our hope is that we look more like Him and follow Him freer because of our time in His Word and with others. We say we don’t give ourselves too much grace because this whole “give yourself grace” mentality that is becoming super popular is becoming an excuse towards laziness. And while we know we will have weeks we just don’t get our reading done or aren’t able to show up to group, we don’t allow that to become our pattern. We know we are meant to be women who study God’s Word. We choose to make sacrifices to do that because we are followers of Jesus—so we want to follow Him by learning about Him in His Word. We know we are busy, but we shouldn’t ever be too busy for others, so we show up as consistently as we can. Discipline and diligence isn’t easy, and it’s rarely anyone’s typical bent, but we work hard towards that anyway because He is worth it… and so are we.